Göttingen and Munich, Germany, June 12, 2018 / B3C newswire / -- The Siemens technology group and Sartorius Stedim Biotech (SSB), a leading international supplier for the biopharmaceutical industry, have agreed on long-term cooperation in the area of automation. 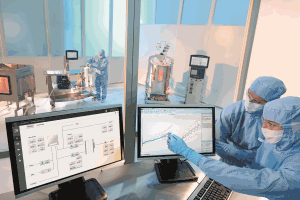 This agreement provides that Sartorius Stedim Biotech will preferably use Siemens automation technologies, which will include industrial PCs, the S7-1500 software controller, the TIA Portal and the SCADA system Simatic WinCC, among others. These hardware and software components will be employed in many products and solutions that SSB offers its customers for the development and manufacture of biopharmaceuticals, such as vaccines and monoclonal antibodies.